CHICAGO–Shared workspaces—coworking—are all the rage today, freeing corporate occupiers from the restrictions of rigid lease arrangements and allowing them to expand and contract footprints as market shifts and inhouse strategies dictate. The latest entrant in this increasingly competitive market is Hana (pronounced with a short “a,” thank you), a wholly owned subsidiary of CBRE launched in October with the goal of providing fully curated turnkey spaces for corporate occupiers. 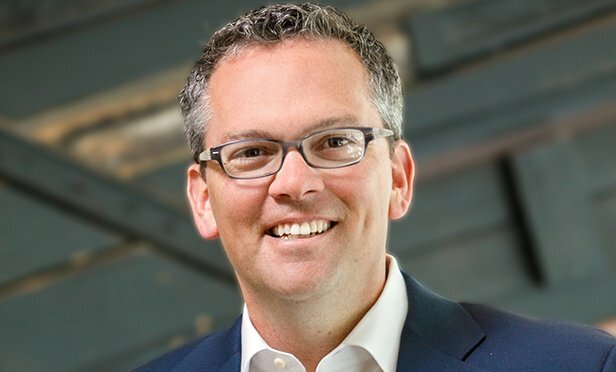 But the rise in popularity of coworking, whatever name it goes by, just like the rise of new technologies and the dominance of the millennial generation, has been a development long in coming, as Hana president and chief development officer Scott Marshall explained to GlobeSt.com in a recent exclusive interview. GlobeSt.com: Let’s talk about the evolutionary–rather than revolutionary–nature of coworking. Scott Marshall: It is an evolution. In order for an occupier to recruit and retain top talent, they need to address the way and where their people want to work. Some call it a disruptive time. It’s not. From our standpoint, we’ve seen a natural progression in the way we’re advising both our occupier and investor clients. Hana is the natural next step in that progression, a way to provide occupiers a flexible solution to their space needs while providing investors a way to harness that demand without being disintermediated. Marshall: If you’re an occupier, you’re looking for a differentiated experience and a turnkey space based on your unique brand and needs. You want speed to market, shorter lease terms to align with your business plan and a representation of your culture that permeates the space you’ll occupy rather than being dominated by the provider’s brand. Rendering of the Hana shared workspace. GlobeSt.com: Aren’t all of those bases covered by third-party providers? Marshall: Certain providers provide certain aspects of that. Hana is a conglomeration of all of those different value propositions. Another major differentiator is our value prop for the owner/investor, the partnership apporach we take. We’re giving investors increased transparency within that space. There’s no more black-box approach to the way space is being operated or even who the Hana members are. Part of that partnership is our co-investment in the space, so our financial objectives are aligned. In some cases, the owner and Hana are operating the space together for the best interest of the occupier. We’re often bringing capital to the table with the owner. So the occupier is moving into fully improved turnkey space. GlobeSt.com: Is Hana available only in CBRE-managed properties? Marshall: We’ll occupy space in buildings that are managed and leased by CBRE but it’s not a mandate. GlobeSt.com: So, what’s the outlook for growth? Marshall: The evolution isn’t going away. Three quarters of our larger corporate occupiers are looking to add flexibility to their footprint, and Hana is poised to capture that growth. Today we’re focused on the top 25 global MSAs, starting with locations in the US and UK, with our first installation scheduled to open in the middle of 2019.